In the past decade, we have made a point of making travel a priority in our lives, seeing as many places as we can, whenever time and finances were in our favour. Many of these places have been close to home, with others much further abroad. Some of them could be considered very much cliché travel destinations and experiences. However what each of these destinations have in common, whether they be in our own backyard here in Australia or take a day of non-stop travel to reach, is the unique experience they offer and the memories that are formed. Exploring the world through travel gives you something that no book or film can offer. It gives you real life opportunity to learn life lessons that would unlikely be possible if you never took the chance on travel. There are amazing memories created, and possibly some that you would rather forget, but each of them equally important. There are certain travel experiences that are known wide and far, and for the inexperienced traveller, these are the experiences that stand out and end up on the bucket list. For others, this popularity is why they avoid certain places and experiences, fearing they will be labelled a “cliché traveller”. Cliché – A phrase or opinion that is overused and betrays a lack of original thought. But let’s face it – travel is about what you want to see and not about what others think. It makes no difference if 5 people have been there or 5 billion. And some of these cliché travel experiences are worth embracing, because they really are remarkable. 1.7 Have you had a cliché travel experience that you loved? The Eiffel Tower is iconic around the world. Paris is labelled the city of love and everything about this city sounds romantic and dreamy. The Eiffel Tower is no exception so it is little wonder this popular tourist attraction tops the list for cliché travel experiences. So why should you climb the Eiffel Tower? For the views. From the Eiffel Tower, you can see the whole of Paris, and on a clear day, even further. Until you are up that high, you don’t realise exactly how unique Paris is either, with it’s well planned city all lined up in each direction. Interesting to say the least. Cruising isn’t for everyone. In fact, the drive from Hanoi to Halong Bay is pretty awful for starters, however this is an experience we would not have missed while holidaying in Vietnam. The serenity of cruising past those limestone structures compares to nothing else. 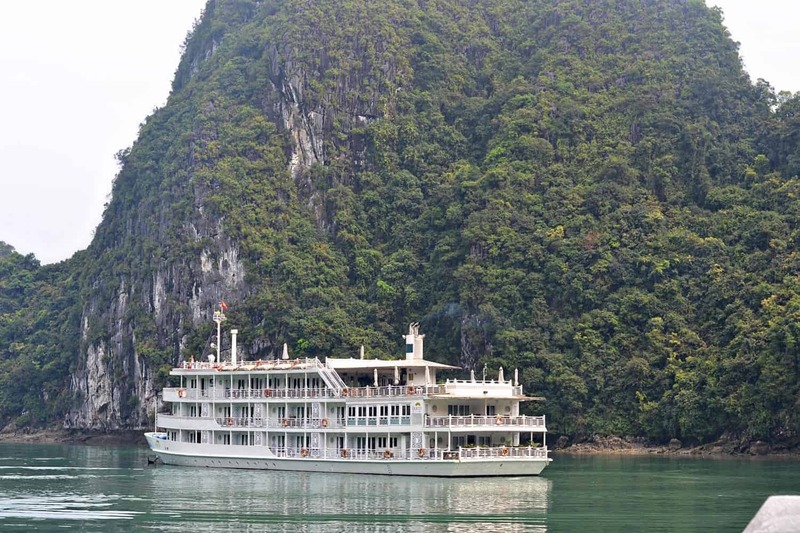 April 2014 – Cruising Halong Bay. How tiny is that boat in comparison to those limestone rocks? Wow. It feels like you have reached the edge of the world and there is almost no one else nearby. No two rock formations are the same, each carved out over time from the ebbing emerald waters. Halong Bay is every bit as beautiful as the photos and well worth the trip. The overnight cruises allow you to get a deeper experience of this natural water landscape, but even a day trip would be an impressive sight. Prepare to feel minuscule compared to the massive limestone formations. Like Paris, Venice is a city famous for the romanticism, from narrow canals to the splendour of the historic architecture, the floating city has a lot to offer. With so many bridges and narrow alleyways leading every which way, you may easily find yourself lost in Venice (which isn’t such a bad thing… you may discover some amazing things along the way). 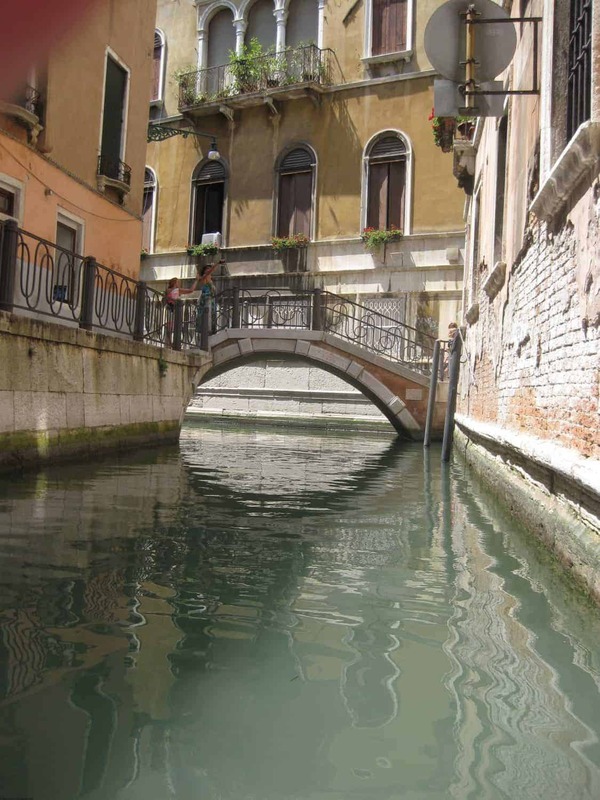 A gondola ride is the perfect way to venture where only a boat can take you, through winding canals that lead you into new areas of this charming submerged city. Of course if travelling as a couple, it’s a given that you smooch as you float beneath the picturesque bridges. Why not? And we hear that Venice is sinking a little more each year so you better get there quick before the whole city goes under! 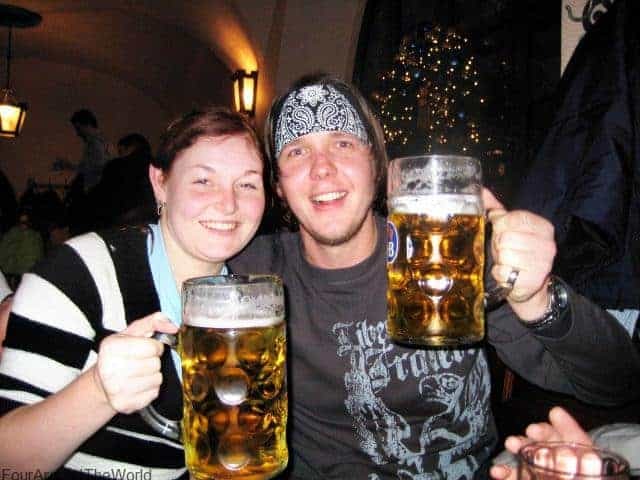 The Hofbrauhaus in Munich is a popular venue year round, known for the huge beer steins and hearty food. More so the beer though. As one of Germany’s oldest breweries, built in the early 19th century, the Hofbrauhaus is beer lover’s’ paradise. With doors open from 9am (breakfast beers anyone? ), the beer hall caters for up to 30,000 people a day. The crowds alone can put many international travellers off… or the fact that they aren’t beer fans. I’m not. The husband is. However it’s the atmosphere that makes the Hofbrauhaus a cliché travel experience well worth having. It’s one of those places in the world where you simply need to embrace the vibe, have some fun and go with the flow. 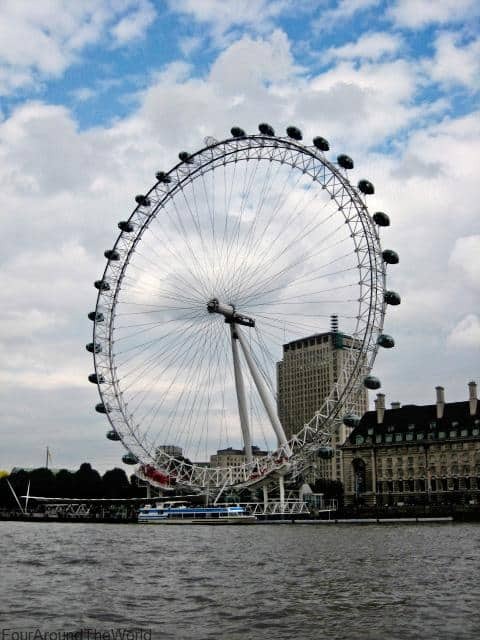 Ferris wheel-like viewing structures are popping up all over the world these days, however you cannot go past the London Eye. 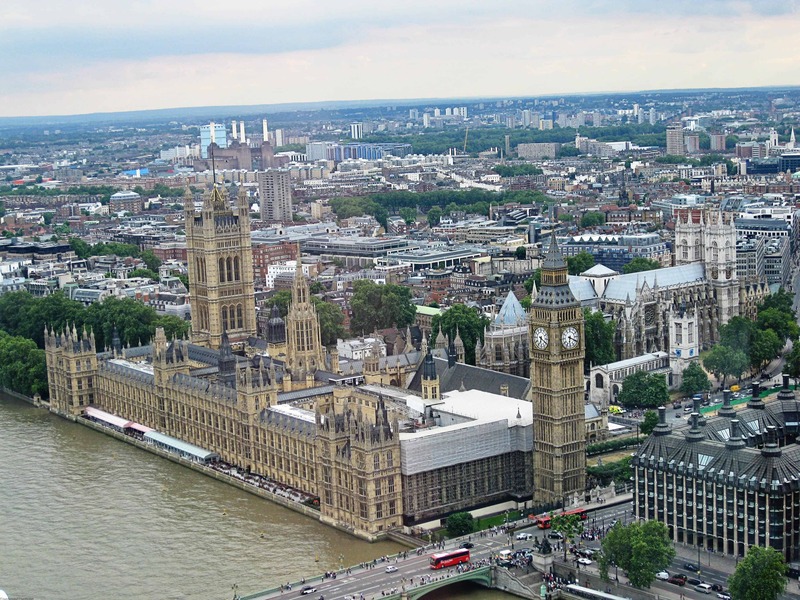 There is no greater way to appreciate the views of London than from a viewing bubble up high on the London Eye. Trust me, there is plenty to see and the photo opportunities are like no other. The wheel is 135 metres tall and was once the world’s tallest ferris wheel. It no longer holds this title, but the appeal hasn’t changed. Yet with the views of the river Thames and the impressive Westminster Abbey, this is cliché travel at its best. Can’t go past a view this impressive! North Queensland is home to some stunning natural landscape. The one that most stands out is the Great Barrier Reef, as the largest living thing on earth. Did you know the Great Barrier Reef is visible from space? Yep, it’s impressive. But even more so up close and underwater. Snorkeling is a great way to see some of the natural wonders that make up the Great Barrier Reef, from fish and sea creatures, coral and the crystal waters. Scuba diving would of course be a whole new level of amazing, but snorkeling is an easy activity almost anyone can do, without the extra training and heavy duty equipment. Find the best snorkeling gear for kids of all ages here. 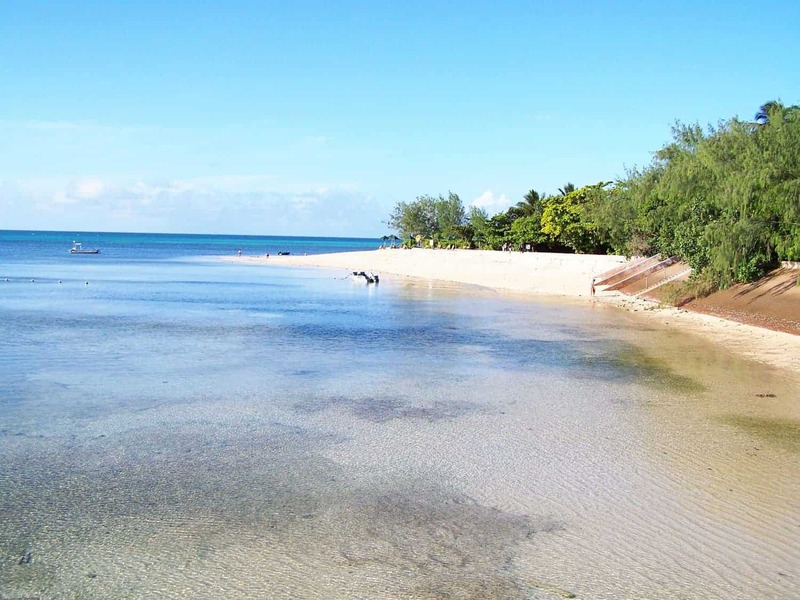 May 2007 – Green Island near Cairns in North Queensland. But if getting in amongst the sea-life makes you a little nervous, at least take the opportunity to have a glass bottom boat tour through some of the reef areas, to give you a taste of what dwells beneath. You will be amazed by how much you will still see. Paid photo opportunities with people dressed in historic costumes, such as those popular outside the Colosseum in Rome. No thanks! Bungee jumping in New Zealand or any other country. Being suspended upside-down does not appeal in the slightest. I would prefer to enjoy those views upright. Eating frogs legs in France. Okay, so my husband did it but i just can’t bring myself to try! I would also gladly erase the taste of kava in Fiji from my memory, as another cliché travel experience that could be avoided. Dirt tasting drinks aren’t my favourite! However these may be the very experiences that make your trip amazing. For us, even the experiences that weren’t amazing are not worth regretting. You just don’t know until you try. There are indeed a lot of overrated travel experiences, but that is part of the adventure! So how do you know which clichés to embrace and which to avoid? Simple. Do what you love – Choose experiences and destinations that excite you. Don’t choose them simply because you feel obliged to see and do them. Not every travel experience is for everyone. Do what feels right – While pushing a little outside of your comfort zone is healthy, if it causes you anxiety or makes you miserable, don’t do it. Travel should be fun. Don’t listen to critics – Never let the opinions of others put you off doing something you want to do. Eating snails in France doesn’t make you a ‘wannabe traveller’, and remember what one person loves, another will loathe so follow your heart. Don’t let the popularity of these tourist must-dos put you off actually doing them. Most things are popular for a reason, despite the commercial fame that goes along with them. In the end, it is what you get out of the experience that counts and not how popular or unknown it may be. While there are plenty of other clichéd travel experiences that come to mind, these are just a few of the ones we have experienced ourselves during our years of travel. There are plenty more to tackle in between those lesser known, travel opportunities and destinations, while truly immersing ourselves into foreign culture along the way. 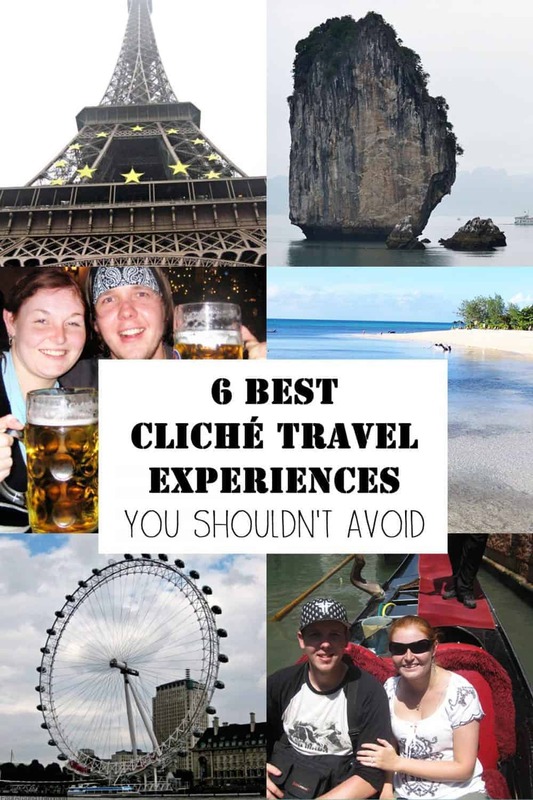 Have you had a cliché travel experience that you loved? I’ve done all of these except the Hofbrauhaus in Munich…and they are certainly all very memorable experiences. The one which stands out the most though is an overnight junk on Halong Bay. A totally magical experience. I have done three of these things and, like you, I have enjoyed them. I like to experience things by myself. It is nice to hear about certain things from others but, if I really want to do something, I do it (and form my own opinion). So for me, travel is a mix of some cliche experiences and other more off the beaten path things. Sounds like we do our travel quite similar Ruth. Discovering some hidden treasure is always wonderful but that’s not to say the popular attraction doesn’t bring the same joy! I’ve done everything except Munich and London but only because I haven’t travelled there yet. SOme things are famous for a reason. Exactly! There are so many cliche experiences in the U.S. we haven’t done yet but will get there. It’s part of the fun to say you’ve been & done all those well known things around the world. Great read, we got engaged under the Eiffel Tower- it doesn’t get anymore cliched than that, does it?! Hehe congrats! No it doesn’t but how memorable! A girls dream to get engaged in Paris! Oh I hated drinking Kava in Fiji-dirt water indeed! But we did it anyway to be respectful to the locals. We always like to mix in a few cliche things into our trips, along with the more authentic experiences. 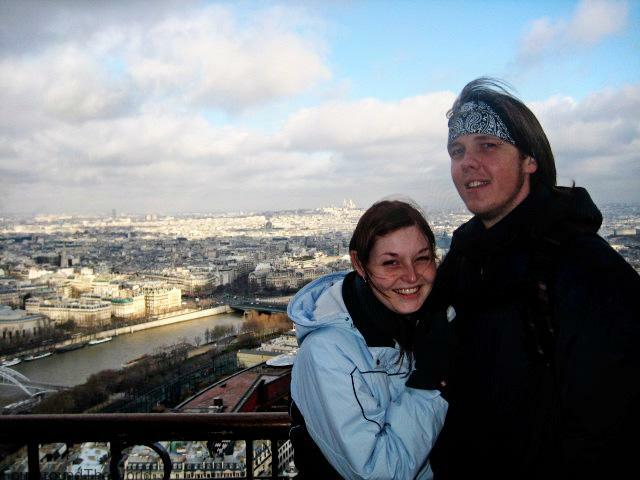 We loved going to the Top of the Rock in NYC and throwing coins in the Trevi Fountain in Rome! They are popular for a reason aren’t they. 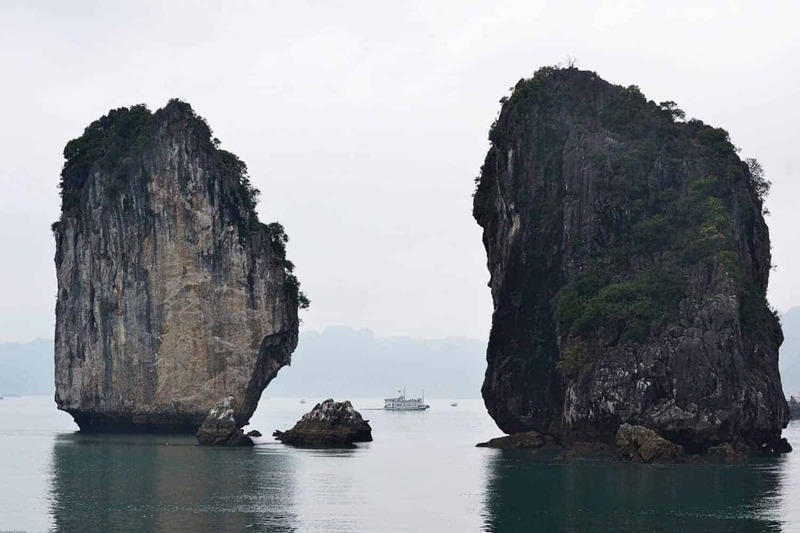 I have done most of these cliches and loved them I’m longing to go to Halong Bay too. Also could have done without the dirt water! Glad I’m not the only one that didn’t love kava lol Halong Bay is so worth it. And Vietnam can be such a cheap travel destination. There is a reason it is a clichéd travel experience and every one does it, it’s because most of them are worth it! 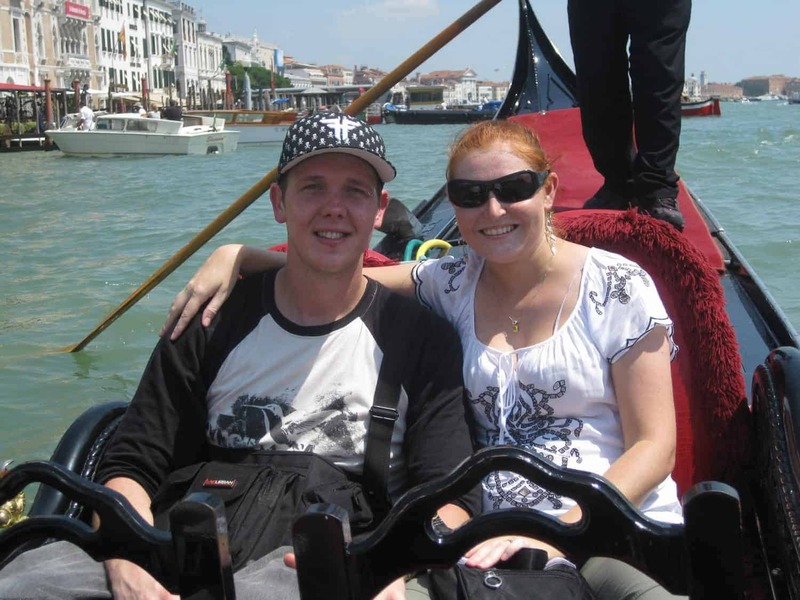 While I didn’t do a gondola ride in Venice I don’t regret not doing it, it just wasn’t something I felt I had to do. However, waiting in line and being herded into the elevators to get to the top of the Empire State Building was. What makes travel fun is that everyone’s experience is different! I hope to get that Empire State Building experience some day when we finally do the U.S. We loved the gondola just to see the cool buildings up the canals. Made me think what a different life it would be living in Venice & needing boat transport everywhere. Your front steps lead to water. So cool! Thanks Shannon. The lines anywhere can be off putting. We had a shorter wait with pre-booking but still about 45 minutes. I think I loved it due to our time in London being so short so the view helped appreciate the sights we didn’t get up close with. I too did the London Eye and got super bored half way around. 🙂 Oh I would love to do Halong Bay. I had plans to in 2012 but then discovered I was pregnant and due at the same time as the tour (I was hosting) so didn’t get to go. I’ve done everything except Halong Bay and beer in Munich, but they’re both on my list of places to see and things to do! The gondola ride was probably my favourite, so cliched and so expensive but so worth it. My advice is to “shop around” the gondaliers and get the best price, also start your ride away from the most touristy places to get the best deal. As for cliches, some of the best travel experiences I’ve had are cliches! Those are great tips for the gondolas. We had ours organised through a tour and I have no idea how much it set us back. Probably a small fortune once they both got their cut lol but it was still wonderful! Love your travel pics!! I figure if it’s somewhere you want to go or something you want to see then go and do it regardless!!! What a great post! We just got back from LA and we went to Hollywood against our better judgement, it was cliche’ but at least we saw it for ourselves. Other areas of LA are awesome! Thank you so much for linking up to Merry Monday this week! I am sharing your post today on my Travels Board on Pinterest! We hope to see you next week for another great party! Have a great week! Great article! I have a love/hate relationship with cliché travel experiences. I wanna hate them for being so mainstream and crowded, but in reality I know they’re well known for a reason. I was in the Phi Phi islands and went to Maya Bay earlier this year… Super cliché, but it is truly beautiful when you look past the hordes tourist and selfie sticks! There’s a reason why everyone and their grandma wants to go. I’m a bit the same, not wanting to do it just because it’s the done thing, but it’s almost always worth it. Just gotta avoid losing an eye from someone’s selfie stick these days! OMG a big yes to avoiding those horrible historic men outside of the Colosseum! Such a tourist trap and so rude if you say no! And a big yes to going on the London Eye! Such a beautiful view on a clear afternoon! You almost have to run past them to avoid getting accosted at times haha but worth it to see the amazing part of history! I would agree with these. Loved the Hofbrauhaus. Sometimes places are touristy for a reason.